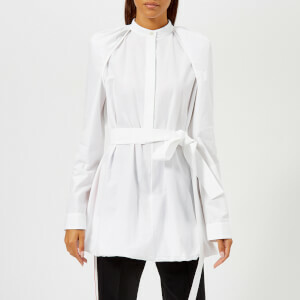 Woven cotton jacket from French fashion house, MM6 Maison Margiela. 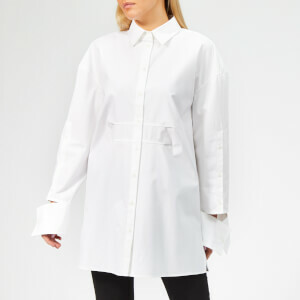 The oversized coat showcases a garment-washed cotton construction with a spread collar and a zip front fastening concealed by a press stud flap. A decorative white button also features. Four flap pockets with snap closures accentuate the front. 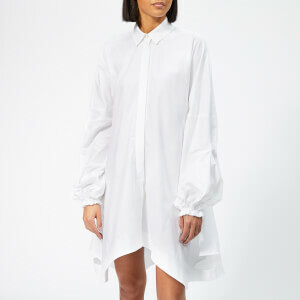 Complete with flared sleeves and the brand's signature white stitch detail to the nape. An internal drawstring can be adjusted to cinch the waist.